Job Details IntraHealth International Tanzania office is soliciting applications from suitable candidates to fill in the two (2) positions of Technical Manager for IntraHealth Tohara Plus Project. These positions will be based in Kagera region. IntraHealth International Tanzania office is soliciting applications from suitable candidates to fill in the Technical Advisor positions for IntraHealth Tohara Plus Project. Three positions will be based in Mwanza and one position will be based in Kagera. The Technical Advisor is to provide assistance both programmatic and in clinical direction in implementation and scale up of Voluntary Medical Male Circumcision (VMMC) and Early Infant Male Circumcision activities in supported regions within IntraHealth scope of work, so as to achieve the greatest coverage and impact as possible. The Technical Advisor reports to the Technical Manager. Provide technical support, mentoring and supervision to implementing partners in the area of VMMC/EIMC services and other HIV prevention interventions and ensuring quality improvement and quality assurance in delivering VMMC services. Contribute to the attainment of all project targets and milestones associated with the implementation of VMMC activities and ensuring National and PEPFAR/CDC country VMMC/EIMC targets are met. Provide technical assistance and organize and deliver training, seminars/workshops on MC quality assurance tools and techniques. Develop work plan for day-to-day program implementation at the regional and district level including supervision at field level. Ensure consistent availability of VMMC supplies, equipment’s and consumables for VMMC services in all static as well as mobile and outreach VMMC facilities. Ensure VMMC services follows: WHO, PERFAR/CDC, Government of Tanzania and IntraHealth protocols, policies and guidelines and are consistent with established best practices. Maintain up-to date statistics and projects data for the Project's performance reporting. Maintain regular communications with MOHCDGEC/NACP and undertake special assignments from the MOHCDGEC/NACP and other partners. Participate in preparing annual work plans, budgets, performance reports and quarterly reports. Provide technical assistance and monitor MC quality assurance activities, and progress related to impact and sustainability of interventions. Minimum three years’ experience in developing and implementing HIV/AIDS programs, especially those related to HIV Testing and Counseling, Male Circumcision, quality assurance, treatment and care interventions required. Experience as trainer with a strong track record of implementing training strategies and programs. Experience of working with Regional and district health officials. Working with local government officials and government health facilities desired. Strategic Thinking: Applies organizational knowledge to identify and maintain focus on key success factors for IntraHealth while recognizing, anticipating and resolving organizational challenges. Ability to develop organization and industry-specific expertise and apply sound decision making processes to reach productive resolutions that translates strategy into actionable business plans. Effective Communication: Understanding and ability to apply effective communication, and marketing concepts, tools and techniques; ability to effectively transmit, receive, and accurately interpret ideas, information, and needs through the application of appropriate communication behaviors to an internal and external audience. Client Relationship Management: Knowledge and ability to determine and satisfy client needs (internally and externally) and maintain partnering and productive relationships during engagements, including influencing, communicating, presenting, facilitating, and managing new relationships. Technical Writing and Documentation: Knowledge of public health technical language and ability to write and/or support proposal writing and project development activities. Ability to write paper-based and on-line technical reference documents including the development of project milestones. IntraHealth International Tanzania office is soliciting applications from suitable candidates to fill in the Monitoring and Evaluation Officer Positions for IntraHealth Tohara Plus Project. One position will be based in Kagera and three positions will be based in Mwanza. The M&E Officer is responsible for supporting the project in designing and implementing VMMC M&E activities for the IntraHealth International under the leadership of the Monitoring and Evaluation Manager. In close consultation with the M&E Manager, the M&E Officer will ensure the continuous monitoring of program progress in close collaboration with the GoTZ, CDC, and other implementers. H/She will develop the capacity of various stakeholders in data collection, analysis, reporting and evaluation. The M&E Officer will help identify and evaluate best practices and state-of-the-art approaches for the programs and with support from the M&E Manager disseminate overall results to project stakeholders. These positions report to the Monitoring & Evaluation Manager. In consultation with M&E Manager, propose priorities for project assessments, operational researches and evaluations related VMMC and coordinate the implementation of researches and field assessment. Build the capacity of health care workers at the facilities implementing VMMC and ensure accurately and timely collection of monthly reports. Prepare routine reports, presentations, brochures, project summary sheets, newsletters, highlights, project abstracts and other publications as required by the project. Update program communications materials periodically. Travel to sites to provide direct technical support on data quality assurance, management and utilization. Bachelor degree in Epidemiology or statistics or an equivalent combination of education and experience. Good understanding of HIV/AIDS care and prevention strategies and in particular VMMC and programs. Ability to analyze information and evaluation results for planning. Demonstrated skills in quantitative data analysis, data management and report writing. The position will be based in Kagera. The primary responsibility of the Supply Chain Assistant is to provide a supply service (including receiving, processing, storage and delivery) of medical and non-medical consumables of IntraHealth. S/he will report directly to the Administrative and Operations Officer. 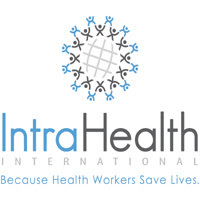 Count stock levels in the IntraHealth’s Stock areas and produce reports. Keep the IntraHealth Stock areas organized, tidy and correctly labeled. Provide assistance and advice on stock issues to all IntraHealth management and staff. Performs duties in accordance with IntraHealth policies, guidelines and relevant legislation. Diploma or Advance diploma in Logistics , materials management or business administration. At least 1-2 years’ experience in warehousing and/or logistics. Proven understanding of “just in time” and min/max stock control principles. Knowledge of approaches, tools, techniques for recognizing, anticipating, and resolving operational or process problems; ability to apply this knowledge appropriately to diverse situations.